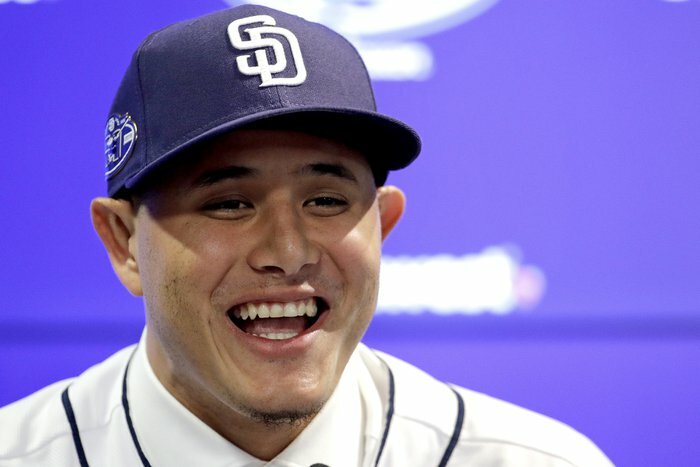 PEORIA, Ariz. (AP) - Manny Machado pulled on a dark blue San Diego hat and slipped a crisp No. 13 Padres jersey over his broad shoulders. 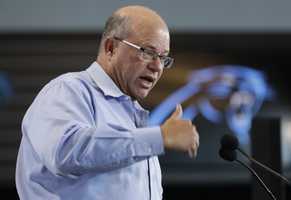 San Diego had just 66 wins last year in its eighth consecutive losing season. The Padres have never won the World Series, but they have a group of highly regarded prospects on the brink of the majors - led by shortstop Fernando Tatis Jr. and left-hander MacKenzie Gore. Machado was traded from Baltimore to Los Angeles in July and helped the Dodgers to their second straight World Series appearance - and loss. 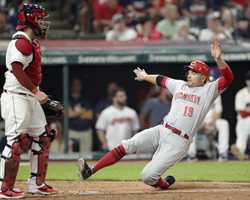 But he caused a stir during the NL Championship Series when he failed to run out a grounder and later said: "Obviously I'm not going to change, I'm not the type of player that's going to be 'Johnny Hustle' and run down the line and slide to first base."